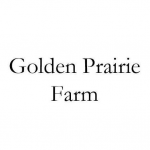 Golden Prairie Farm is a small family owned farm located near Sedgwick, Ks. We grow a variety of vegetables, fruits, and flowers using organic methods, and raise pastured poultry for eggs, meat chickens, and pigs. We offer our produce and flowers through local farmers markets, restaurants, and on farm sales. We currently provide eggs and produce for The Beautiful Day Cafe and The Wine Dive. Like us on Facebook and/or follow us on Instagram (Golden_Prairie_Farm_Ks). How to Connect: Find us at the Old Town Farmers’ Market this summer. Like us on Facebook and/or follow us on Instagram (Golden_Prairie_Farm_Ks).